Sergeant Audie Murphy was exemplary, but it was Lieutenant Audie Murphy who earned the love of a nation…and the Medal of Honor. So why then is he so revered by the noncommissioned officer corps? Similarly, we created an elite subset of NCOs after a nonperson known collectively as Sergeant Morales, as if we could not come up with a real noncommissioned officer with similar characteristics and traits that would allow us to herald one our own. What’s the deal? Quick, name five nationally known enlisted soldiers excluding Murphy? Their names just roll off the tongue, don’t they? A few of you may have gotten Sgt. Alvin York and honorable mention if you knew Sgt. Sam Woodfill, the most decorated soldiers of WWI. But both were promoted to Major at the onset of WWII. Maybe you marched on Cooper Parade Field, drove on Sergeant E. Churchill Rd or trained in Skidgell Hall without fully knowing their stories, but kudos if you had an inkling that each one formed a link in the chain of the NCO legacy. Pre 9/11 I use to bring up names of contemporary NCO heroes like Shughart and Gordon, but today you may likely think Carter or Giunta. 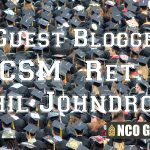 However one not need to earn “the big one” to be a part of our legacy, we have contemporary NCOs like Cindy Pritchett and Jeff Mellinger, to be worthy of study as well. This topic gets a burr under my saddle every so often and sometimes I feel the need to highlight a few remarkable sergeants, like in the short paper I wrote of the same name. So bear with me as I share another lesson. I am fine that as a profession that we be “ever desirous to cherish virtuous ambition,” that soldiers in general study military leadership through the lessons of Washington, Grant, Pershing, Marshall, Eisenhower, Patton and Powell. But lets be honest, few enlisted soldiers will ever be at such an exalted positions of command as the leaders mentioned. Shouldn’t we be better off focusing on our own craft at the levels we are likely to perform? I want sergeants to study followership as much as leadership…and I hope that we are encouraging the study of our own Corps as well? It’s funny to me how we sometimes speak with forked tongue. Just read SMA Bill Baindbridge’s book and he will tell you how lathered up some people got when they tried to create a school of study for sergeants major and planned in 1973 that NCOs study world events, and other operational and strategic activities. It almost didn’t happen. 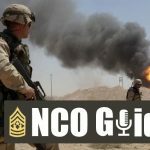 Yet for generations we have encouraged that NCOs from sergeant to sergeant major primarily study strategic (read commissioned) leaders and their exploits. Thank goodness FM 7-22.7 The NCO Guide Appx E has a good starting point for enlisted to learn of their heritage. Sadly, more than a few are by, or about, commissioned officers. This is not a rant and I don’t want to come off putting Os and Es on different sides, I am only pointing out the obvious. Officers should study officership through analyzing key commissioned leaders over time; NCOs should equally learn and study their craft through a similar study of noncommissioned leadership. And unfortunately, I am sad to say, that the bygone tradition of using battlefield promotions as a method for rewarding stellar performance has often robbed us of our enlisted heroes through the commissioning of the best of them. Let me say that in most peoples opinions at the time, our best warrior-heroes deserved better than retiring simply on a sergeant’s pay. After 30-years of service and finally qualified for a pension, all three of the serving master sergeants in the before mentioned Sam Woodfill’s unit offered to step down so he could be promoted to allow him to retire at that rank. 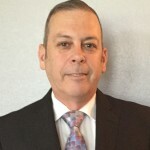 One was selected to terminate his rank, which allowed Woodfill to at least retire at a monthly pension of $133 and as a Master Sergeant, until he was promoted to Major later in life. Sorry to say it, and recognizing that it is mostly ancient history, but it is still the reality. At least since the fledgling days of our Revolutionary Army when Gen. George Washington used his commissioning authority to reward by promoting enlisted men to the officer ranks. At the conclusion of the War for Independence, he could no longer reward stellar performers with a commission, so as a “consolation prize” Washington awarded SGT Daniel Bissell…who went undercover for 6-months with the enemy apparently at Washington’s request…the Badge of Military Merit. And until the Modern Volunteer Army was created after the Vietnam war and compulsory service ended, the tradition of battlefield promotions to elevate enlisted men to officers as “Mustangs” remained. Like always, I feel the need to lay the foundation to get to my point, kind of a bottom-line-up-last approach. This week I am talking about one of our true noncommissioned officers who has been lost to all but the small print of history, MSG Llewellyn Chilson. Chilson, known as Al to those who knew him, is the most combat-decorated noncommissioned officer of the entire United States Army and you probably have never heard of him. He was like many of his day, a citizen-patriot who answered our nation’s call after the attacks on Pearl Harbor. He was eventually assigned to the 45th Infantry Division (“Thunderbirds”) in May 1942 and joined Anti-Tank Company, 2nd Battalion, 179th Infantry Regiment. WWII mobilized nations, and even for Infantrymen of WWII, each had a different experience. Still debated, military historian Brig. Gen. S. L. A. Marshall reported that less than 25 percent of American combat infantrymen in battle fired their weapons. This was not the case with Chilson. Starting in Nov 1943, Chilson crisscrossed the storied battlefields of World War II, North Africa, landing at Anzio during the Siciliy invasian where he earned a Purple Heart, then on to France and participation in Operation Anvil. Just one year later and now a sergeant, Chilson earned his first Silver Star after charging a German road block, capturing 9 prisoners. The heroics go on and on, capturing and killing hundreds of German in multiple battles in over 500 days of combat. 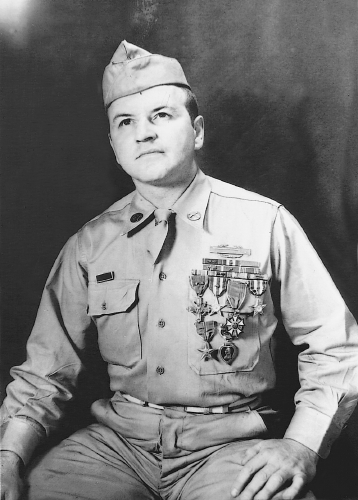 After a series of fights that begin in in France in 1944 and leading into Germany, including a few days in captivity as a POW, he was nominated twice for the Medal of Honor, however Chilson was eventually awarded three Distinguished Service Crosses, a Silver Star (his second), the Legion of Merit, the Bronze Star Medal and the Purple Heart (his second). While personally presenting medals to Chilson President Harry Truman said “This is the most remarkable list of citations I have ever seen. For any one of these, this young man is entitled to all the Country has to offer. These ought to be worth a Medal of Honor—that’s what I think about it.” But alas, it was not to happen. Lauded by Time magazine, Lt. Audie Murphy was crowned as “America’s Most Decorated Soldier” in its July 1945 edition. Murphy would go on to be awarded the Medal of Honor in August 1945, the same month as Victory in Japan Day. Chilson would not see his citations until Dec 6, 1946, a year later, and after he had left the service. Chilson returned to the Army in 1947 initially as a Recruiter. In a coincidence of fate Chilson was in a plane crash some 10-years before Murphy perished by a similar fate, Chilson was one of only four survivors. After more than 20-years of service Chilson retired from the Army at Ft Sill, OK and settled to Tacoma WA with his wife. He died on Oct 10, 1981 at the age of 61 where his story mostly ended. 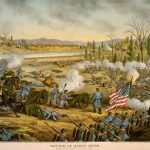 Though there have been two attempts to relook Chilson’s exploits, including new information on possibly before unknown exploits, the elusive Medal of Honor was not to be had for Al Chilson. At the time some believed it may have been the stature of Audie Murphy and how far removed from the war that our nation was, we were on the mend and tired of war. So the recommendations of Chilson’s commanders were not approved and two Boards of Corrections let the current medals stand and reject later claims. Supporters thought it was a standing position of that board, but LTC Matt Urban finally saw his right wronged on July 19, 1980, when he was awarded the MOH, so that may not be the case. 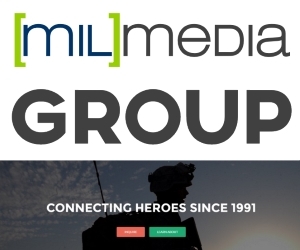 Just yesterday President Obama awarded 24 Medals of Honor to WWII veterans for oversight and prejudices of the day which was long overdue, yet one week ago WWII veteran LTC Garlin Conner’s family’s bid to be able to present new evidence to the U.S. Army Board of Correction of Military Records was halted. Measuring “second place” is a hard thing to do, and between the four legends the one thing that stands true is that Al Chilson is the sole noncommissioned man among them, and what holds is that he is “the most highly combat decorated noncommissioned officer for valor of World War II,” and likely ever. So where is his tribute, US Army? NCOs, what have WE done to uphold the traditions of MSG Chilson and honor his service? This is not a post so much of Medals of Honor, though it easy could be, but more a question to why we let and have let so many of the stories of noncommissioned officers like Chilson languish? It is not up to someone else to take charge of our history and heritage, it is in our constitution and bylaws. You know, that thing we call The NCO Support Channel. Take a look at AR 600-20, para 2-18, Function #5 “Teaching Soldiers the history of the Army, to include military customs, courtesies, and traditions.” So why are some of us just now learning about the exploits and heroics of noncommissioned officers like Technical Sergeant Al Chilson, is it because we are not doing our part? We cannot fix where we came from, the legacy is what it will be. But we cannot follow in the same footsteps that we have for so many years, we as NCO leaders need to delve in to the stories of our Corps, historical and contemporary. We must winnow out the stories of valor, courage, honor and professionalism to paint the picture of the value of having a professional noncommissioned officer corps. We are proud of all our leaders, commissioned and noncommissioned, as well as our private soldiers. However until we embrace the theory and practice of studying our own, we will continue to have stories like that of Al Chilson, and for that, I am saddened. 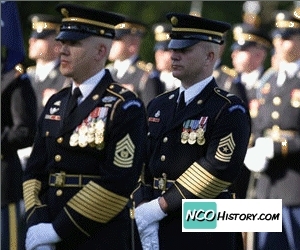 Dan also runs the NCO History and Heritage site www.ncohistory.com to share and exchange historical information about the US Army Noncommissioned Officer Corps. Why doesn’t Chilson have any rank insignia on his sleeves? At the time of that photo it was December 6, 1946, which was taken right after he received from President Harry Truman the medals you see him wearing, he was out of the military and he was a civilian. Chilson later re-enlisted into the U.S. Army on November 17, 1947.